For piano. First printing. Program and biographical notes in Ger. and Eng. 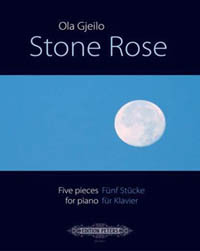 Five pieces from the CD Stone Rose. Contents: January; Sidewalks; Snow in New York; The Hudson and April. Score, 24 p.